Our wholesale termination service is fully independent of our Active SoftSwitch Service, except for those customers using the "Lite Edition" where it is mandatory. All other Partners can choose to either use their own termination supplier or utilise our high quality termination partner routes worldwide. 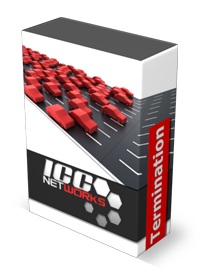 ICC is not the cheapest termination service provider and this service is not targeting the budget end of the market. Our A-Z termination is a premium product designed for any operator who wants to increase revenues with solid, consistent, good quality termination at reasonable rates. The ICC termination product employs the powerful and robust Porta VoIP Traffic Exchange Service backed by the world class PortaBilling100 engine. This solution allows efficient mediation of even the largest traffic volumes. Thanks to a tandem of advanced components, PortaOne’s VoIP traffic exchange solution facilitates interconnection among VoIP networks regardless of their call control protocol, equipment vendor or internal architecture. PortaBilling100 enables the creation of scalable and easy-to-manage transit VoIP networks (via H323), providing call authentication/authorization, information on priority-based and least-cost routing, CDR processing, and advanced statistics (ASR, cost/revenue, etc.). Our intelligent switching equipment manages routing in real time ensuring that if any routing problem occurs the call is automatically rerouted through alternative suppliers. There is no requirement for credit checking processes or deposits as our service operates on a strict prepay only basis ensuring that you are protected from the effects of fraudulent traffic which guarantees stability not often found in this market. As an option, the actual call switching, routing and transcoding can also be done via the use of our "Transcoding Service". 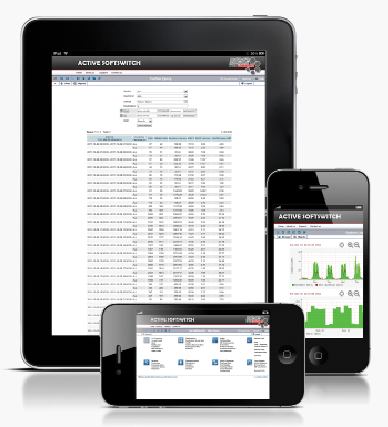 ICC will also provide you with a control panel in which you can monitor traffic and add funds in real time. The service can also be utilised by those operators that currently facing issues with their existing providers. ICC have an advanced network topology and our intelligent switching equipment manages routing in real time, ensuring that if any routing problem occurs the call is automatically rerouted through alternative suppliers. ICC Networks flagship service Active SoftSwitch.v5 sails into 2018 with Full Geo Redundancy, BGP Routing and with its PortaOne upgrade to MR65 due in Feb 2019.